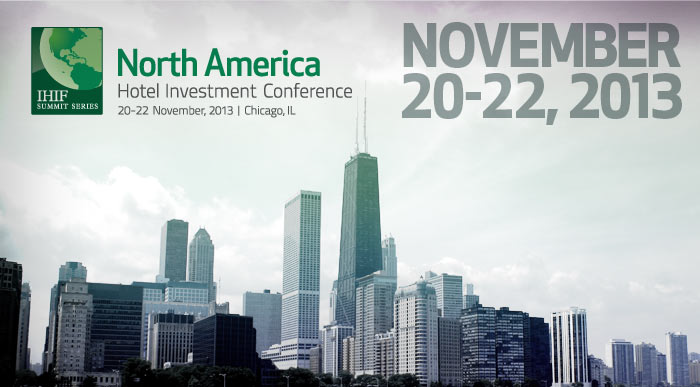 upcoming North America Hotel Investment Conference in Chicago on Nov. 22. 2013. Mr Sonnenblick will be joining the Hotel Finance panel. Launched in 2010 as the Distressed Hotel Summit, the North America Hotel Investment Conference has since evolved into the North American anchor of the International Hotel Investment Forum (IHIF) Summit Series. Presented by Hotel Management, the IHIF Summit Series produces premier, world-class investment conferences that focus on growth and financing opportunities for the hotel industry. Since inception, NATHIC has delivered a timely service, focusing on the issues pertinent to current hospitality investment professionals. NATHIC concluded its fourth annual event in Washington, D.C. Nov. 28-29, 2012. Anthony Melchiorri, star of Travel Channel’s hit show, Hotel Impossible and President and Founder of the New York-based consulting company Argeo Hospitality, was the keynote speaker, and answered audience questions in a session moderated by Mike Cahill, Chief Executive Officer of Hospitality Real Estate Counselors (HREC).